Gorgeous weekend, temp in the mid 80's, beautiful blue sky. Of course it's raining again today, but boy it sure was nice! Skipping ahead - Saturday afternoon, I had some free time and it was absolutely beautiful outside, so I grabbed a cold beer from the fridge and took a look in the humidor for something nice. Oh what the hell - I grabbed the ugly duckling and headed out on the deck. 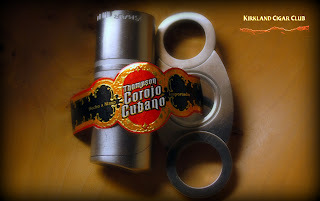 Corojo Cubano is a handmade combination filler cigar in a delicious Corojo wrapper for less than what you'd expect to pay for a machine-made drug store cigar. This handmade cigar is made from a delectable blend of Dominican Piloto Cubano and Olor combination fillers, Dominican binder, and a beautiful and oh-so-rich smoking Honduran Corojo wrapper. Well, I've got to tell you that I actually liked it. Hah! Go figure! I mean, it's not on the top of my Hit-Parade, but for what these actually cost, it's definitely an OK cigar. Smooth, good draw, somewhat mild, and no nasty taste. Surprise, surprise! Join us in the Sno Lounge tomorrow, July 26 from 5-8pm for a free Tuesday Night event! We'll be featuring Jack Daniels Tennessee Honey along with Rocky Patel cigars. 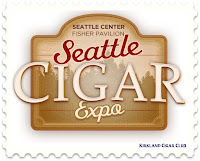 We're express shipping the brand new 601 La Bomba cigar for this event - you'll be the first in the area to try it! La Bomba is an extra full bodied Nicaraguan cigar made in the My Father factory by Don Pepin Garcia. We'll have some great deals on this cigar as well as the very popular Rocky Patel Vintage lines. As always, we'll have some great prizes to give away, appetizers and drink specials too! We appreciate your participation in these events so that we can keep using the Sno Lounge on a regular basis. 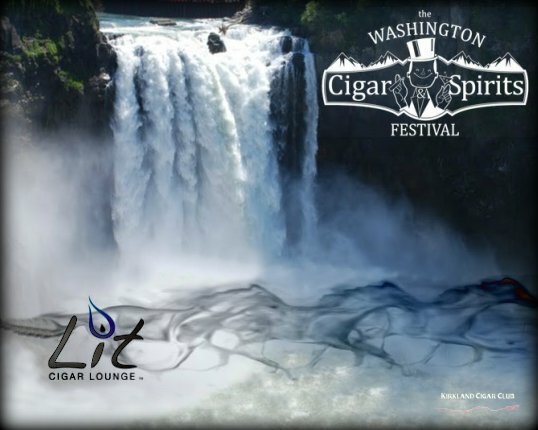 Tickets are now available for our October 8th Washington Cigar & Spirits Festival! You can get tickets at our casino box office or on Ticketmaster.com. - Your choice of three cigars from our array of participating brands, including La Gloria Cubana, Rocky Patel, Alec Bradley, Oliva, Carlos Torano, EP Carrillo, and more! - Manny from Georgetown Beer will be on hand giving beer tastings and seminars for everyone in attendance. - Your choice of five 1/2 ounce spirits samples from our wide selection of spirits vendors, including Glenmorangie, Remy Martin, The Glenlivet, Bowmore and more! 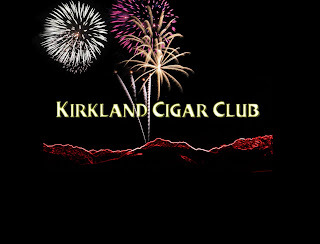 - $25 credit to our event cigar store - featuring great specials from all of our participating vendors. They'll all have their best deals of the year for you to take advantage of. - Prize giveaways - we're pulling out all the stops, including Romeo y Julieta Museum Edition humidors and full boxes of cigars! - Appetizers, special guests, informational and interactive exhibits and more! We've just received word that the 601 La Bomba cigars will not be here in time for the event tonight. We sincerely apologize for this, but the event will still go on as scheduled, with plenty of prizes, appetizers, delicious Jack Daniels Tennessee Honey cocktails along with Rocky Patel Vintage series cigars. I just wanted to let you know in advance that we were unable to get the La Bomba. Hopefully we'll still see you tonight for a great event! Anyhow, a while back I smoked an Alec Bradley Tempus Centuria up here - great cigar, just loved it. So I decided to buy another one last Friday. I've got to tell you that the first 10 minutes were identical to the one that I had previously - excellent cigar, perfect in every category. However, after 10 minutes of heaven it started running into major problems - it was plugged. I couldn't get any smoke out of it. I'd puff away like a madman, but no dice. CRAP! Surprisingly after a while it would kind of come back to life - loads of delicious smoke, great taste, but a minute later it was like sucking a marble through a straw. No fun at all. Needless to say I gave up on it. Too bad too, because it has so much potential. Saturday we went out to dinner over in the U-Dist. There's a Brazilian restaurant out there that has the BEST "feijoada" in town, well, maybe it's the only place in town that serves it, but Holy Cow, it is without a doubt the most delicious feijoada I've ever tasted, even better than the one I make. God it was good. Anyway, if you're interested the place is called "Tempero do Brasil" and it's located on the "Ave" up by Ravenna. Service and prices are excellent! It may not be the fanciest place in the U-District, but boy-howdy it's got some great food! We stopped by the Patch and sat down with the group. I thought there would have been more people here, especially with the UN-Corked event going on just a block away, but I guess the weather might have been a deterrent. 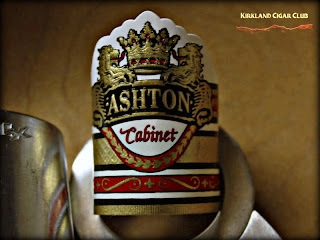 Anyway, so what did I think of the Ashton? Well, my first thought was: "Does Ashton even make a bad cigar?" I mean it seems like every Ashton I've smoked lately has been "stellar," this one included. Smooth, yet bold taste from start to finish. Not a nicotine bomb or anything, just a very, very fine cigar. Would I buy one again? Hell yes! Oh well, I'll be there for sure! 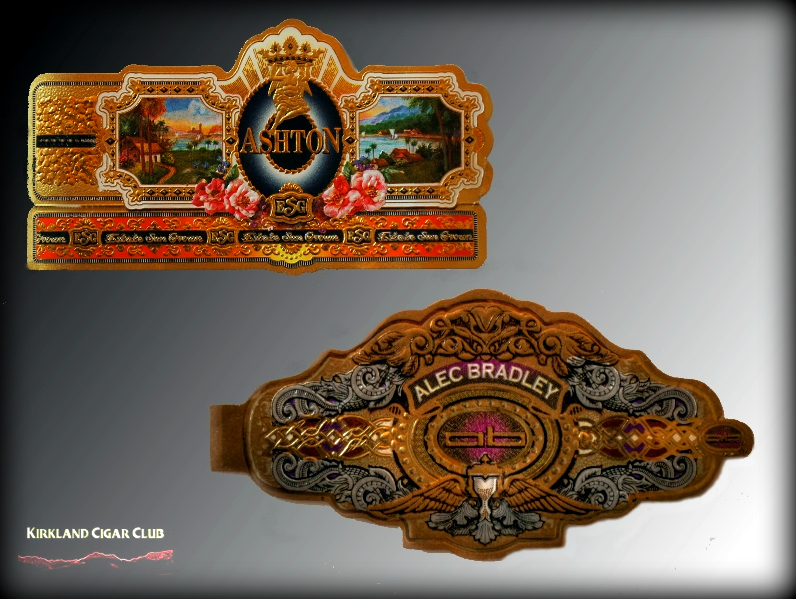 For this end of July event we are featuring one of the hottest selling brands on the market; Rocky Patel. We are not featuring any specific Rocky line, this time ALL Rocky lines are included and you can mix and match to your hearts content. It's a Rock-em, Sock-em, Stock-em up on Rocky event! Tim Wong with Rocky Patel will be here with three great deals for you. Side note: A very Happy Birthday to you too Dan! Would I buy one again? Yes! Our next Tuesday Night event in the Sno Lounge will be on Tuesday, July 26th from 5-8pm. We'll be featuring the newest release from Jack Daniels - Tennessee Honey, with a special cocktail served in a logo souvenir glass. 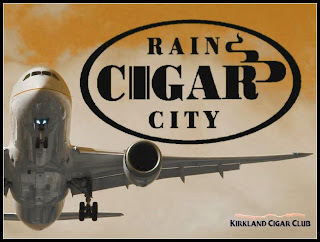 We'll also be joined by our good friend Tim Wong from Rocky Patel as we feature a few of Rocky's blends as well as an exciting new cigar from Espinosa Ortega - The 601 La Bomba. It's a very full bodied cigar produced at Don Pepin's My Father factory in Nicaragua. This should be a big hit for those of you who love powerful cigars. Mark your calendars for the 26th... we'll see you in the Sno Lounge! We've partnered with Issaquah's Hilton Garden Inn to offer attendees to the October 8th event a special room rate and shuttle transportation to and from the casino. It's a great opportunity to enjoy yourself without the hassle of having to drive home after a long night of cigars and spirits. Take advantage of this great offer ($99) and let us take you back to your room after the event! Click here for more details, or call the Hilton Garden Inn at 425-837-3635. 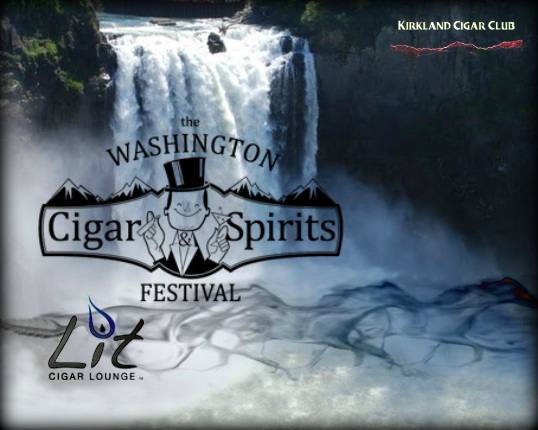 Presale tickets are now available for our October 8th Washington Cigar & Spirits Festival! We're giving our loyal Lit customers the first opportunity to get tickets at a discounted price, before they go on sale to the general public on July 16th. 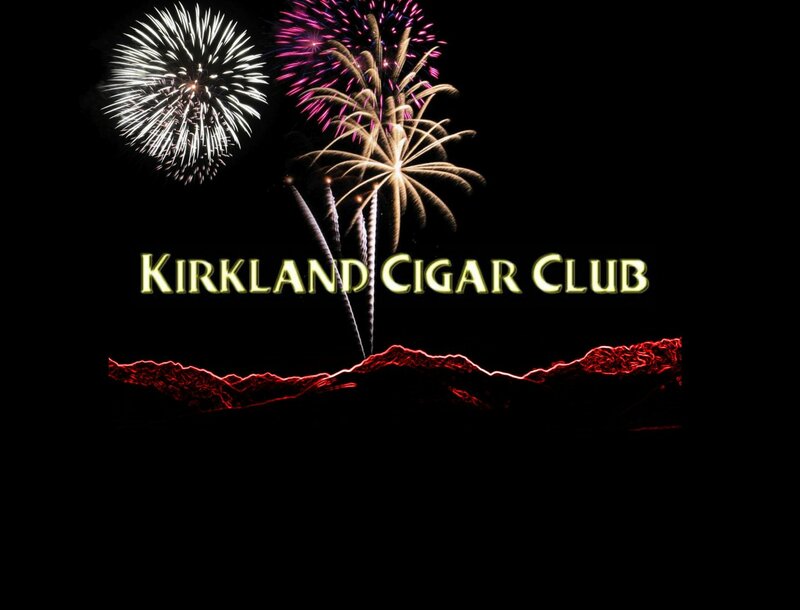 You can get tickets at our casino box office or on Ticketmaster.com with the special code "Lit"
Your choice of three cigars from our array of participating brands, including La Gloria Cubana, Rocky Patel, Alec Bradley, Oliva, Carlos Torano, EP Carrillo, and more! Manny from Georgetown Beer will be on hand giving beer tastings and seminars for everyone in attendance. Your choice of five 1/2 ounce spirits samples from our wide selection of spirits vendors, including Glenmorangie, Remy Martin, The Glenlivet, Bowmore and more! $25 credit to our event cigar store - featuring great specials from all of our participating vendors. They'll all have their best deals of the year for you to take advantage of. 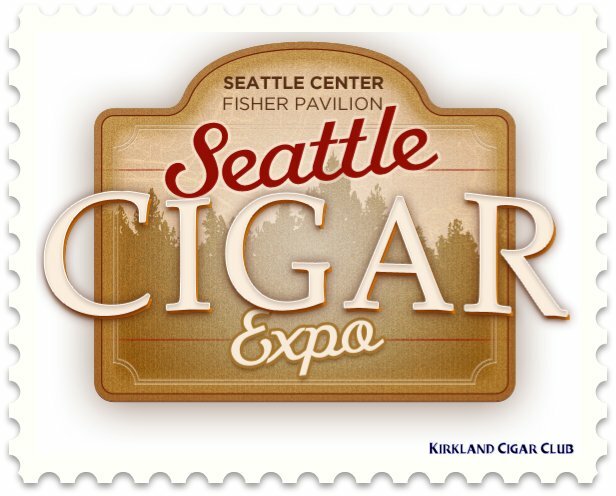 Prize giveaways - we're pulling out all the stops, including Romeo y Julieta Museum Edition humidors and full boxes of cigars! Appetizers, special guests, informational and interactive exhibits and more! I think I can count on one hand the number of times that we've had nice weather on the 4th of July. Yes, sunshine on this special day is a rarity indeed, but this year was an exception to the rule - beautiful blue sky, nice breeze out of the north and temps in the high 70's - picture-postcard perfect day! Very nice medium to full-bodied cigar. Draw started out a bit tight and maybe the taste was a tad peppery, but everything smoothed out quite nicely. Honestly I didn't think much of it after the first few puffs, but once it smoothed out I found it hard to put down. Thank-you Charles! Very good cigar my friend! Sunday we were up at the Snoqualmie Casino. I wanted to try the Craps tables again to see if it was indeed "Beginner's Luck" the last time we were here. Unfortunately the Craps tables were totally jam-packed when we arrived, so we decided to have a cigar over at the Lit Lounge first. I'm pretty excited about the big event that's happening here in October: The Washington Cigar & Spirits Festival. I guess I better get my tickets soon - this event can actually sellout. YIKES! Anyway, Josh showed me a few new items in the humidor and of course I managed to pick one of the more expensive varieties. I won't bore you with all the details, but let's just say that this is a "sought-after" cigar. So what did I think? For the price I thought it was "Meh", but if you throw out how much I paid for it, I thought it was great! No really, everything about it was very good, just the price was painful. Very nice medium-bodied smoke, good taste, excellent draw, perfect burn and it lasted for frickin ever. Would I buy it again? If you cut the price in half - YES! I watched the fireworks down on the waterfront last night. Holy shito, did you see Seattle's show over on Lake Union? You could see it from Kirkland. OMG, it put our show to shame. Unbelievable how cool it was! So after the fireworks I swung by the Patch to say "hi' to everyone. Lots of people still here. Heck, it's the 4th of July! 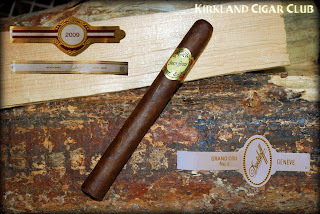 "Big Erik" handed me a Davidoff Grand Cru No.4 and wished me a Happy 4th. Nice guy! Since it's just a shorty, I decided I had time for it. OK, so I haven't smoked a Davidoff in ages, but I've got to tell you that I enjoyed this cigar a lot. Again, another very nice medium-bodied smoke, perfect in just about every category, no complaints at all. I finished this little cigar in record time and made it home before it got too late. Thank-God. Side note: We went to Novilhos Brazilian Steakhouse in Factoria the other day. It was OK, nothing special. I thought the meat in general was too salty and the salad bar wasn't fully stocked most of the time. I know you're probably saying that the meat at a churrascaria is supposed to be salty. No, not that salty. What made matters worse is that my lovely wife was sick the next day, and believe me her stomach is made of steel. Anyway, if they were to cut the price in half, I'd say it MIGHT be worth it. Oh yeah, I forgot to tell you about the craps table at the casino. Yeah, it was "Beginner's Luck" last time. We finally squeezed into a spot at the table and I quickly lost all my money. Tatuaje La Verite 2009 - This is a limited production cigar that is sold out well in advance of its release, in the same way wine futures are offered. The cigar is a Churchill size with all of the tobacco grown on a single farm in Esteli Nicaragua and produced at the famous My Father factory. Here's a review from Smoking Stogie. Two new lines from EP Carrillo arrived this week as well. We have a small amount of the 2011 Short Run. 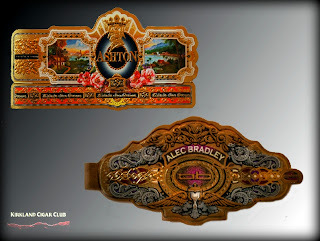 The 2010 version was one of the most sought after cigars of the year, and since only 1,000 boxes were produced, the 2011 version will be gone quickly. We also have in the Elencos from EP Carrillo, which are the same blend as Cigar Aficionado's #8 Cigar of the Year, the Edicion Limitada. 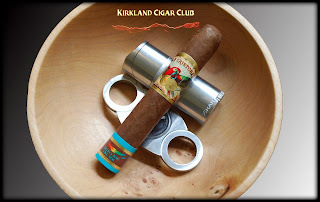 Here's a review of this fantastic cigar. 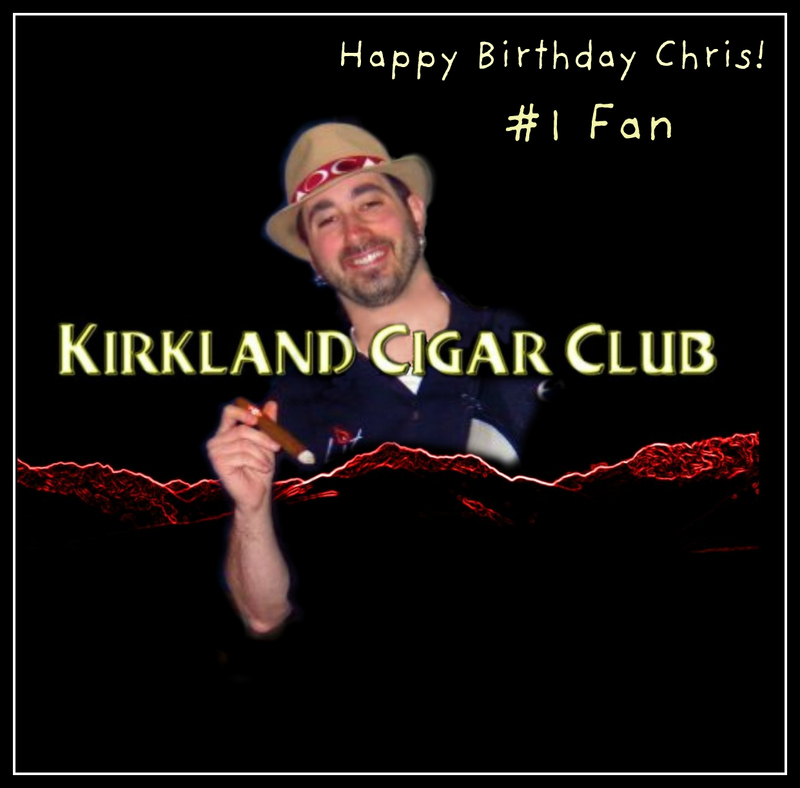 Last, but not least, we have our most limited cigar of any of them. Murcielago has released a special size only for the Northwest region called the Pacifico. Only 100 boxes were produced and we got five of them. It's a gorgeous 6 1/2x46 long corona, with a tiny pigtail. Like the regular Murcielago line, it has the same dark, rich San Andres Maduro wrapper, but the Pacifico is not box pressed - so it burns longer with a fuller taste than the rest of the line. For only $7.50, it's a great deal on such a limited smoke. They will be gone quickly.